TROY, Michigan, June 8, 2011 – SSOE Group (www.ssoe.com), an international engineering, procurement, and construction management (EPCM) firm, announced today it is providing architectural and engineering support for six projects taking place at the Veteran Affairs’ Ann Arbor and Saginaw, Michigan medical centers. The projects are part of an Indefinite Delivery, Indefinite Quantity (IDIQ) contract for the Ann Arbor and Saginaw facilities as well as the VA’s Detroit and Battle Creek medical facilities. As part of the IDIQ contract, SSOE is responsible for providing as-needed design and engineering for various capital improvement projects. These centers serve the healthcare needs of more than 700,000 area veterans. The current contract spans one year with the possibility of four extensions, totaling four years of services. Potential projects are estimated to cost up to $2 million in construction, and will encompass programming, site investigations / analysis, data collection, feasibility studies, project scope definition, engineering calculations and analysis, value engineering, cost estimating, and construction and bid documents, among other services. 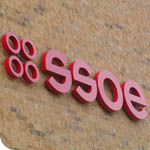 SSOE is ranked among the Top Healthcare Architects nationally (Modern Healthcare, 2010) and was chosen for this team, along with four other consultants, for its extensive healthcare experience and unique understanding of the design requirements for healthcare facilities. SSOE’s more than 35 years of healthcare experience includes the design of ambulatory care facilities, emergency departments and critical care units, and major hospital expansion / renovation projects. “SSOE is honored to be a trusted A/E supplier for the VA and to be involved in projects that will ultimately enhance the medical treatment for some of our nation’s heroes,” said Mike Duffey, PE, Director of Federal Programs for SSOE Group. In addition to the VA IDIQ projects, SSOE and its team of consultants are currently working on an ambulatory care expansion project at the VA’s Battle Creek facility.